Dr. William Dillon, Associate Professor of Obstetrics and Gynecology at SUNY Buffalo, has been selected as a “Leader in Medicine” and among America’s “100 Best Doctors” by the American Health Council. He will be sharing his knowledge and expertise in Medicine, Biology, Chemistry, Obstetrics & Gynecology, Maternal Fetal Medicine, and High-Risk Pregnancies. Dr. Dillon has been active in the healthcare industry for the last 40 years. He received his Bachelor of Science degree from Canisius College in 1966 and his M.D. from the University of Buffalo in 1970. He completed his internship (1971), residency (1974), and fellowship (1979) at the State University of New York at Buffalo. Dr. Dillon’s day-to-day responsibilities at SUNY Buffalo include administrative work, overseeing issues regarding practice plans, and serving as a member of the governing board. Dr. Dillon attributes his success to perseverance and always remaining focused on the goal ahead. He is a Fellow of the American Congress of Obstetricians and Gynecologists (FACOG) and Member of the New York State Board for Professional Conduct. Among his many achievements, he is most proud to hold certifications from the American Board of Obstetrics and Gynecology in both Obstetrics and Gynecology and Maternal-Fetal Medicine. He is also honored to have been appointed Chairman of the Board for Medical Professional Conduct for New York State in 1997 by Governor George Pataki and to have served in that position for five years. Dr. Dillon is also involved in the running of the Academic Health Professionals Insurance Association. His long-term goals include continuing to remain active in faculty practice and insurance activities. Dr. Dillon has held the following notable positions: Chairman of the Board by Appointment of Gov. Pataki; Chairman (1998–2003), Chairman, District II – ACOG; Chairman (1999–2002), – Chairman, Financial Committee of Gov. Board Practice Plan; SUNY at Buffalo School of Medicine; Chairman (2004–2006), – Chairman, Task Force on Cesarean Section/Hysterectomy and Quality of Obstetric Care; NY State Health Department/ District II ACOG; Chairman (1992–1994), – Chairman, Board of Governors Academic Health Professionals Insurance Association; Chairman (1991–2004); Chairman, Steering Committee for Formation of Academic Health Professionals Insurance Association; Chairman (1988–1990), Chairman – District II, ACOG, Section 6; Chairman (1987–1990); Chairman, Quality Assessment Committee for OB-GYN, WCHOB; Chairman (1986–1999); Vice Chairman – District II ACOG, Section 6; Vice-Chair (1984–1987); Chairman, Financial Committee of Gov. Board Practice Plan; SUNY@ Buffalo School of Medicine; Chairman (1984–1986), Chairman, Record Room Committee WCHOB; Chairman (1979–1989); Vice President – ACOG; Vice President (2003–2004); Vice Chairman, PROLOG Obstetrics Edition 3, American College of Obstetricians and Gynecologists; Vice-Chair (1991–1992). Dr. Dillon’s professional appointments include: President, Academic Health Professionals, Attorney in Fact. ; Chair (2004–present), President, Gov. Board of Practice Plan; SUNY at Buffalo School of Medicine; President (2006–2008), President, Governing Board of Practice Plan; SUNY@Buffalo School of Medicine; President (1986–2000); Director of Quality Assurance – GYN/OB, WCHOB; Director (1995–1998), Vice Chairman, District II ACOG; Vice-Chair (1996–2002), President, NYS Association of Regional Perinatal Programs; President (1989–1991), Head of the Division of Maternal-Fetal Medicine; SUNY@Buffalo School of Medicine and Children ‘s Hospital; Other (1982–1995), Examiner Basic Boards, American Board of Ob-Gyn; Administrator (1988–present), Coordinator Residency Program in OB-GYN; Coordinator (1978–1983), and Secretary – American College of Ob-Gyn; Task Force on the Reduction of Perinatal Morbidity and Mortality for District II; Secretary (1979–1981); Biomedical Research Support Grant Committee of WCHOB; Chairman (1980–1985), Junior Fellow Advisor – District II American College of Obstetricians & Gynecologists; Advisor (1979–1986); Course Moderator, Federation of State Medical Boards (2002–present); and Delegate, Federation of State Medical Boards; Delegate (1993–present). Dr.Dillon serves as a committee member for the following organizations: Appeals Committee for Grievance; Committee Member (2008–present), UBMD Committee; Committee Member (2008–present), UBA Member; Member (2006–present), Grievance Committee – ACOG; Committee Member (2003–2006), Accreditation Council on CME Review Committee, Am Board of Obstetrics and Gynecology; Reviewer (2001–2003), Program Committee, Federation of State Medical Boards; Committee Member (2001–present), Member, Development Committee – ACOG National; Member (1999–2002), Vice Chair, Finance Committee – ACOG National; Vice-Chair (1998–1999), Nominating Committee, Federation of State Medical Boards; Committee Member (1998–present), Member, Finance Committee ACOG; Member (1997–1999)- NYS Board for Professional Medical Conduct Department of Health; Advisory Committee (1997–present), Member Quality Assurance Committee ACOG; Member (1996–1997)Credentials Committee; Committee Member (1995–1998), Treasurer District II ACOG; Treasurer (1993–1996), Federation of State Medical Boards; Member (1993–present); Member, Federation of State Medical Boards; Member (1993–present), NYS Board for Professional Medical Conduct Department of Health; Board Member (1993–present); Executive Committee Children’s Hospital of Buffalo; Committee Member (1992–1999). Dr. Dillon maintains affiliation with the following organizations: Joint Conference Committee; Committee Member (1992–1998); Ethics Rounds; Other (1992–1997), Children’s Hospital Board of Trustees; Board of Trustees Member (1992–1995)Corporate Council; Other (1992–1995), Council of Clinical Physician Managers; Other (1992–1995); OB/ICN Clinical Review; Committee Member (1992–1995); Member, Promotions and Tenure Committee; Committee Member (1991–1993), Liability Committee, District II, American College of Obstetricians and Gynecologists; Committee Member (1990–present), Finance Committee Chairman, NYS Perinatal Association; Chairman (1989–1992); Member, Committee on Patient Education American College of Obstetricians and Gynecologists; Member (1989–1992) ;Member, Committee on Patient Education American College of Obstetricians and Gynecologists; Member (1989–1992); New York State Perinatal Association; Member (1989–present); Member, Task Force on Cesarean Section and Quality of Obstetric Care, NYS Department of Health/American College of Obstetrics and Gynecologists; Member (1988–1991). 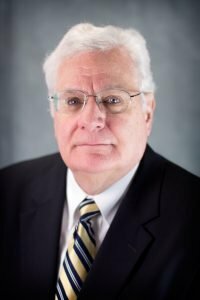 Dr. Dillion’s professional accomplishments include: Planning Committee for new obstetrical wing, WCHOB; Committee Member (1987–1991); Medical Ethics Review Committee WCHOB; Committee Member (1986–1999); New York State/United Univ. Professions Joint Labor Committee; on Faculty Practice; Committee Member (1986–1988); American College of Obstetricians and Gynecologists; Member (1986–1987); Member, PROLOG Task Force – Obstetrics, Edition 2; PROLOG: Personal Resources on Learning Obstetrics and Gynecology; Committee Member (1986–1987); Executive Committee, NYS Association of Regional Perinatal Programs; Executive Board (1986–present); Treasurer, NYS Association of Regional Perinatal Programs; Treasurer (1985–1989); Dept. Gyn-Ob Representative on Governing Body of Medical School Practice Plan; Department Representative (1984–2000); Executive Committee WCHOB; Committee Member (1984–1989). Dr. Dillon’s dedication to the field of Medicine has led to the inclusion in the following organization : Antibiotic Utilization Review Committee Women and Children’s Hospital of Buffalo; Committee Member (1982–1986); Curriculum Committee – SUNY@Buffalo School of Medicine; Committee Member (1982–1984); Executive Committee, Dept. GYN-OB; Committee Member (1979–present) ;Member – District II ACOG Advisory Council; Advisory Board (1979–present); Nutrition Education Committee; Committee Member (1978–1984); Association of Professors of Gynecology & Obstetrics: Associate Member; Associate Member (1978–present); Society of Perinatal Obstetricians NYS Association of Regional Perinatal Programs: Member; Member (1978–present); New York State Medical Society; Member (1977–present); The American College of Obstetricians and Gynecologists Fellow; Member (1977–present); Buffalo Obstetric and Gynecologic Society; Membership in Honorary and Professional Societies; Member (1976–present); Erie County Medical Society; Membership in Honorary and Professional Societies; Member (1973–present), and Faculty Council, Elected Representative; Other. Dr. Dillon is a member of the Society of Perinatal Obstetricians, The Federation of State Medical Boards, NYS Perinatal Association, Association of Professors of Gynecology and Obstetrics, New York State Association of Regional Perinatal Programs, New York State Medical Society, American College of Obstetricians and Gynecologists, Buffalo Obstetric and Gynecologic Society, and Eerie County Medical Society . Charitable organizations he works with include the Historical Society in East Aurora. In his free time, Dr. Dillon enjoys golfing, hiking, walking, reading British History, and traveling. Considered one of the oldest medical schools in the United States founded in 1846, Jacobs School of Medicine serves to provide the best quality of healthcare by training the next generation of healthcare professionals. In order to provide the residents of New York with exceptional healthcare, the SUNY Buffalo- Jacobs School of Medicine develops clinical programs, innovative research, and cultivates excellence through the incorporation of biomedical sciences with technological advancements. Future students have the ability to study the following principles: Biomedical Sciences undergraduate/ master’s programs, Biotechnical and Clinical Laboratory Sciences, MD program, graduate medical education programs, continuing medical education, postdoctoral programs, and dual-degree programs. Aside from discipline studies, SUNY Buffalo serves as a leader in research as they deliver state-of-the-art clinical care, produce major breakthroughs on the causes and treatment of vascular disease and spin-off new biotechnology businesses.